Southern California Edison (SCE) proposed to construction and operation a new 220/66/12-kV substation and 3.1-mile 66-kV subtransmission line in south Orange County. SCE submitted an application for a Permit to Construct the project to the California Public Utilities Commission (CPUC). 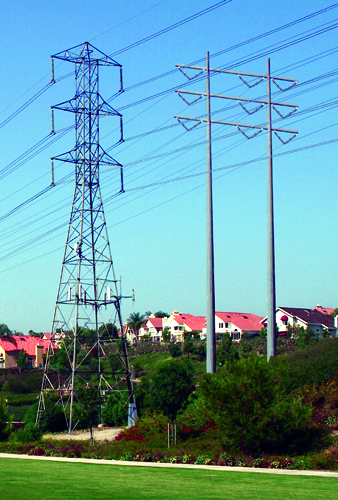 The subtransmission line traverses resi­dential and recreational areas in the City of Mission Viejo and the substation is located in a business park adjacent to a wilderness area in the City of Lake Forest. The project’s impacts were of high concern for residents along the transmission corridor, particularly the project’s visual impacts. Under contract to the CPUC, Aspen completed all CEQA noticing and documentation for the project including preparation of an Initial Study, Mitigated Negative Declaration, and Mitigation Monitoring Program. Aspen also organized and conducted public meetings on the project on behalf of the CPUC. After the project was approved, Aspen monitored construction of the project for compliance with the conditions of approval imposed by the CPUC.